On Sunday, June 2, 2019, the Wappingers Crew Club will be hosting their 12th annual Row for the Cure® Regatta. This regatta will raise money for Susan G. Komen Greater NYC ®. Komen Greater NYC uses these funds to provide breast health education, screening, treatment, and support services to underserved women and to provide funding for peer-reviewed national research programs. Seventy-five percent of net money raised goes to Local Community Health Grants, while twenty-five percent of the funds raised are used for National Research. 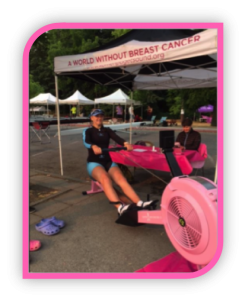 The Row for the Cure® was originally established in 1993 by Kathy Frederick and Station L Rowing Club to support the Oregon and SW Washington Affiliate of the Susan G. Komen for the Cure Foundation in the search to find the cures for Breast Cancer. Wappingers Crew Club (WCC) has hosted a Row for the Cure since June 1, 2008. The idea to host a Row for the Cure was made by Wappingers Crew Club high school students. Student athletes organized the regatta along with the support of their parents, Hudson River Rowing Association, and the crew clubs of Hudson Valley Rowing League. This first regatta raised almost $4,500. Today the Poughkeepsie Row for the Cure® has raised over $100,000 for Komen Greater NYC®. In 2015, as a result of all of the efforts of those involved in organizing the regatta, including Wappingers Crew Club, Hudson Valley Rowing League, Hudson River Rowing Association and all of the other crew teams that help out and participate in the regatta, Miles of Hope Breast Cancer Foundation, which serves New York’s Hudson Valley, has received grants from the Susan G. Komen Greater NYC®. Registration opens Sunday, April 28, 2019! The regatta has events for High School teams and Masters. The regatta includes sculling events, in addition to crew. On Sunday, March 11, 2018, PNRA/Mercer is excited to host the Mercer Indoor Row for the Cure. All entry fees and merchandise proceeds will go to the Susan G Komen Central and South Jersey affiliate. Registration is now open. For information on available events, or to register for the regatta, please visit Regatta Central. DC Row for the Cure® 2018 will be the fourth annual Row for the Cure® regatta in Washinton D.C. The DC Row for the Cure® Regatta is in partnership with Row for the Cure® (which supports Susan G. Komen) and USRowing. TBC Racing is hosting the DC Row for the Cure and is working with the Susan G. Komen Maryland affiliate. TBC Racing consists of high schoolers from numerous schools in the DC metropolitan area, along with open men and women’s crews during the summer season. We are excited to host this regatta in D.C. and hope may crews will be able to show up and row for a good cause.Please join us as a team, individial rower or supporter to fight against breast cancer. On Wednesday, May 2, 2018, Asheville YMCA will be hosting a Row for the Cure® Ergathon at the Asheville Downtown YMCA, from 12:30 – 2:30. Events: Plan to have teams of five with one hour to erg the furthest distance possible. Registration is open now and ends two weeks prior to the event! for any inconvenience and look forward to hosting your team next year. The Head of the Indian Creek Regatta will be held on the scenic Indian Creek Waterway at Miami Beach on Sunday, October 16, 2017. 4,450 meters or 2.7 miles. An early season head race to help tune up skills and support Row for the Cure. For more information on Regatta Central registration, click here. To learn more about the Head of the Indian Creek event, go here. The “Row for the Cure at Nathan Benderson Park Regatta” will be a fun event to support Susan G. Komen and will follow the closing ceremony of the 2017 World Rowing Championships. Rowers and paddlers in a multidiscipline event, which will include racing opportunities in eight-person shells, dragon boats, paddle boards and kayaks. Each participant is required to raise $100 to benefit Susan G. Komen Suncoast. Get Facebook updates for this event! No events scheduled at this time. Check back soon for updates! On Saturday, September 29, the Oklahoma City Boathouse Foundation will donate a portion of the entry fees from the Oklahoma Regatta Festival’s Head of the Oklahoma to Susan G. Komen Central and Western Oklahoma. “We are donating all entry fees form the Women’s Youth Novice 4+, Women’s Collegiate 4+, Women’s Youth 4x and the Women’s Masters 2x to Susan G. Komen,” said Mike Knopp, Executive Director of the Oklahoma City Boathouse Foundation. Late entries in the Women’s Youth Novice 4+, Women’s Collegiate 4+, Women’s Youth 4x and the Women’s Masters 2x will be accepted. Interested athletes can register by emailing info@riversportokc.org. The OKC Boathouse Foundation promotes the use and development of the Oklahoma River as a world-class urban aquatic venue and provides access to rowing, kayaking and fitness programs for people of all ages and abilities. OKCBF programs pursue the highest goals of sports and embrace the principles of the Olympic spirit, which inspire athletes to work toward personal excellence, embrace the power of teamwork, and practice respect for all people and the environment. To learn more or get involved, call (405) 552-4040 or visit https://www.riversportokc.org. Susan G. Komen Central and Western Oklahoma is the local resource for breast cancer screening, treatment, education and support. Through events, like Row for the Cure, and contributions, Susan G. Komen raises funds to enable women to detect and survive breast cancer. Seventy-five percent of all funds stay in Central and Western Oklahoma to provide breast health services for women who could not otherwise afford them. Twenty-five percent supports national research efforts to finding a cure. Susan G. Komen is the world’s largest nonprofit source of funding for the fight against breast cancer. To date, Susan G. Komen has invested more than $2.9 billion in groundbreaking research, community health outreach, advocacy and programs in more than 60 countries. Media inquiries contact Holland Taylor, OKC Boathouse Foundation public relations coordinator at htaylor@okcbf.org or (405) 552-4040 ext. 4993. DONATE to OKLAHOMA CITY RFTC! The first Row for the Cure regatta was hosted by UC San Diego Women’s Crew in 2001 shortly after losing an alumna, Lori Ann Uptegrove, and a Triton family member, Joyce Snyder, to breast cancer. Over the years, UC San Diego Women’s Crew and Susan G. Komen San Diego have joined forces to expand this event to all human-powered watercraft. The event draws participants from various forms of watercraft including— rowing, canoeing, outrigger canoeing, dragon boats, kayaking and SUPing. The event course takes place throughout Mission Bay, with the event expo located in North Ski Beach across from Crown Point Shores. DONATE to SAN DIEGO RFTC! 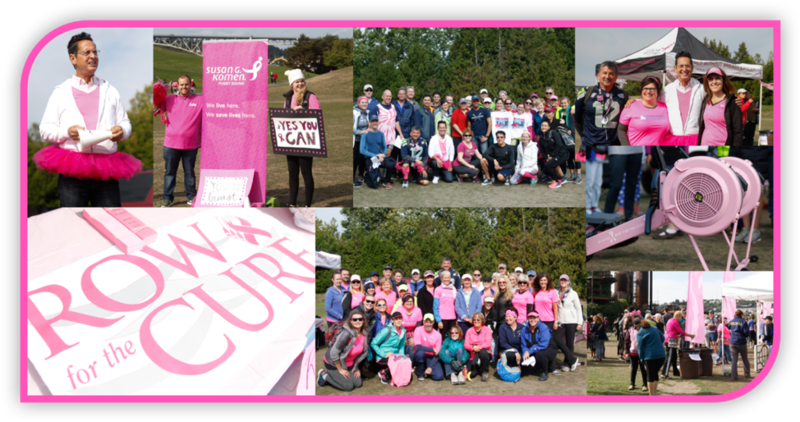 The 25th annual Portland/Vancouver Row for the Cure® will take place Sunday, October 7th from7:30 am to 1:30 pm at Vancouver Lake. The Portland Row for the Cure® was the first in the country and is now a United States Rowing Association sanctioned regatta with participants from as far away as Alaska and California. Each regatta supports the local affiliate of the Komen Foundation. Row for the Cure® was established in 1993 by Kathy Frederick and Station L Rowing Club to support Susan G. Komen Oregon and SW Washington. Over the last two decades Station L’s Portland/Vancouver Row for the Cure® has raised more than $522,000 to support the fight against breast cancer in Oregon and SW Washington. From your contributions Komen carefully chooses local organizations to compensate for providing underserved women with breast cancer education, cancer screening and support during treatment. Komen also directs your donations to ground-breaking research to find the cure. Rowers: Click here for registration information. Paddlers: Click here for registration information. 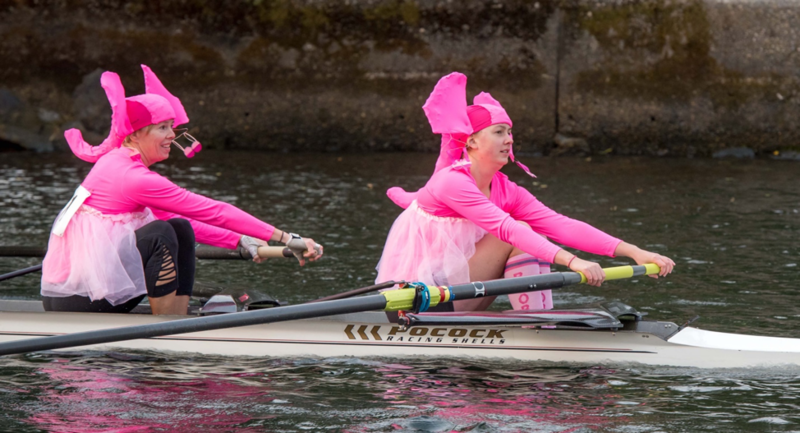 Seattle’s 19th annual Row for the Cure® offers rowers and paddlers their first head race for the fall season AND their chance to raise funds for breast cancer screening, support and research. In support of the Puget Sound Susan G. Komen® Breast Cancer Foundation! Together, we can beat the fight against breast cancer. Meet the $150 DAMPER (Donating A Mammogram Per Every Rower) and get your RFTC Way Enough T-Shirt for Free! All survivors will be eligible for a Free T-shirt as well as those that donate or fundraise $150 or more. T-shirts will be available until 11:30am at our Gas Works Park Post-Regatta Celebration! ALL Teams Can Win a Pink Erg! The pink ergs are back, but this year we are shaking it up! ANY Masters team that exceeds $10,000 in fundraising will receive a Pink Erg! ANY Youth team that exceeds $8,000 in fundraising will receive a Pink Erg! Top individual fundraising prizes include JL Racing Gift of Apparel, Seattle Row for the Cure Hydroflasks and Pink in the Park Pogies! 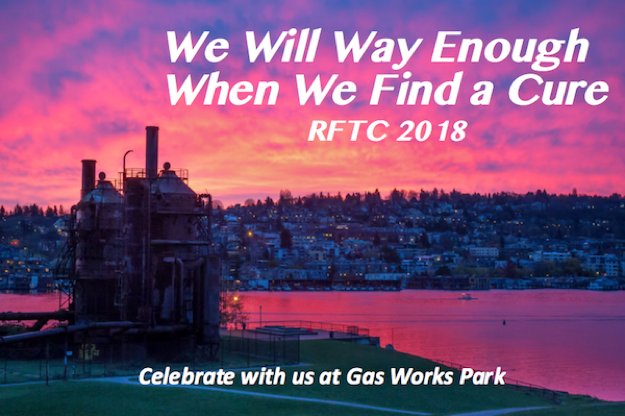 Join us at Gas Works Park for regatta racing, food, awards ceremony and to celebrate Seattle Row for the Cure and our #PNW Rowing Community. Sunday, September 16th, 2018 – 7am to 12pm. Register before the September 13th deadline. More information can be found in Regatta Central for rowers. Questions? 2017 Costume Contest First Place Winners!